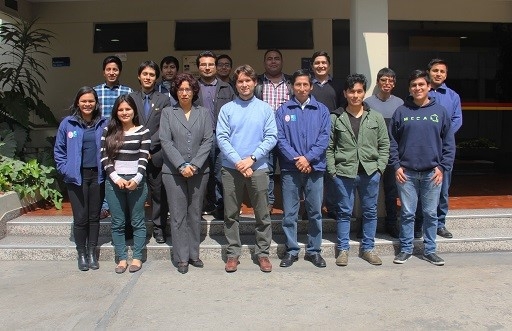 The assistant professor Carlos R. del-Blanco has given a course and a seminar about Compressive Sensing and Big Data in the Universidad Nacional de Ingeniería in the institution Instituto Nacional de Investigación y Capacitación de Telecomunicaciones (INICTEL-UNI) in Lima, Perú, from 24th July until 1st August. The 25-hour course, titled "Curso Taller Teledetección: Aplicaciones de Big Data y Machine Learning", presented theory and practice of Compressive Sensing and Random Projection techniques, and their application to different computer vision problems. The 3-hour seminar introduced different Big Data technologies to be used in nowadays engineer problems.